Monarch, the leading Budget airline, has announced plans to launch 12 new routes for winter 2012/2013. Flights from Leeds Bradford International Airport will be also scheduled for the first time. Expanding across Europe, ten of the new routes will provide travellers with access to winter ski resorts via France, Switzerland, Austria and Germany from popular UK airports. 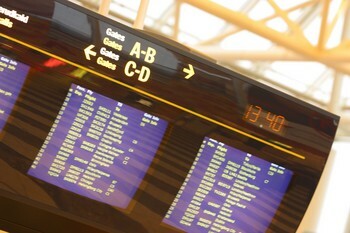 The new 2012/2013-winter schedule includes flights to Friedrichshafen, Munich, Grenoble, Sharm el Sheikh and Funchal from two London airports, Manchester, Birmingham and now Leeds. Monarch Airlines will fly to Grenoble, Friedrichshafen and Munich airports as they link easily to some of Europe’s top ski destinations. Kevin George, Managing Director of Monarch Airlines, commented on the new winter routes: "The launch of these routes for winter 2012/13 marks an exciting new era for Monarch as we introduce our first programme of scheduled ski flights and target a new customer base of skiers looking to fly to Grenoble, Friedrichshafen, Munich as well as via our numerous Italian destinations. The airline recently introduced new routes from Birmingham Airport and expanded further with a new base in the East Midlands. Mr. George expects to see a significant increase in passenger numbers as a result of the airline’s recent development. “The addition of expanded services in the Midlands, combined with 12 new winter routes will add almost one million seats to the Monarch programme over the next 12 months and supports our growth plans for the airline over the coming years,” he continued. The airline’s existing routes to Milan, Venice and Verona will be available all year round and the remaining three routes will target sun seekers flying to Funchal on the Portuguese island of Maderia and Sharm el Sheikh in Egypt. 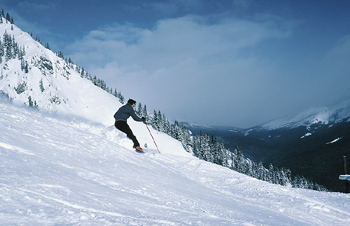 Those thinking about booking their winter skiing holiday’s for 2012 may also need to consider winter sports insurance cover to protect themselves while they are away.